Social media and content marketing are intricately interconnected. 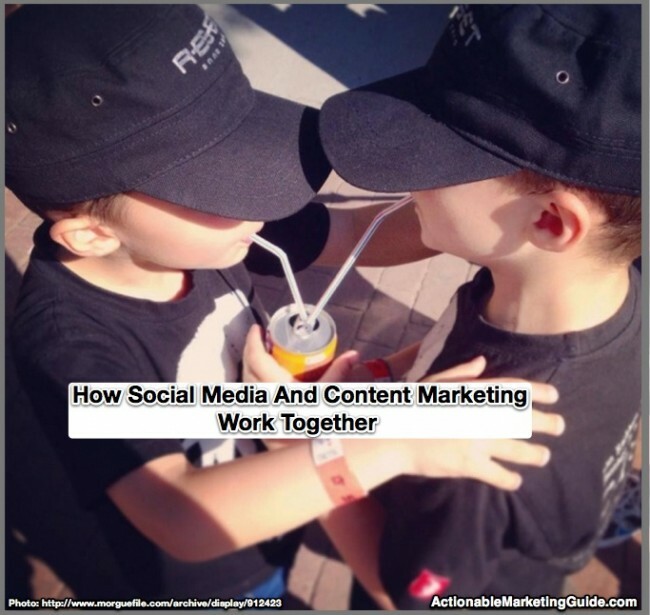 Used together, social media and content marketing give you marketing superpowers. 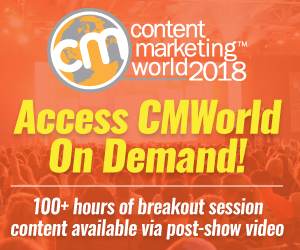 To fully appreciate the combined power of social media and content marketing, we interviewed 4 Content Marketing World 2015 rockstars from the Social Media Track. Early in my career, I saw that content would trump promotion as a major way of reaching audiences in a connected world. I’ve been singing this song as a marketer, a professor and a writer who energizes audiences around the world. I’ve been a leader of the content marketing revolution as a brand leader (P&G), agency owner (WPP), investor and startup founder (Ahalogy). Best piece of content Monday created on social media & content marketing: The Research Triangle Park website that Monday developed/created/redesigned before Stackla was a thing. I tell awesome stories that get people excited. I’m not. My team at TopRank Marketing and the awesome clients they serve like Dell, LinkedIn and McKesson are the stars. I am but a humble content servant. 1. What is the key point that you want attendees to learn as a result of attending your session? Why is this important to them? Social media and content marketing have a symbiotic relationship. Social media feeds on content. You need to continually share and curate quality content including text, images, video, audio and commentary, to keep and build relationships. Content marketing needs social media support to ensure that your content reaches its maximum potential audience. Pinterest is an amazing media channel for content marketing, but it takes an SEO mentality to win. 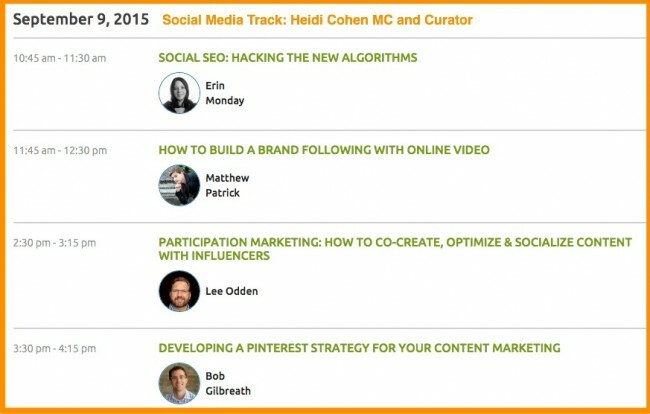 I am blunt — and I’m rolling up my cuffs for the Social Media Track at Content Marketing World. I’m going to tell you how social SEO is!!! (Editor’s note: This is critical for everyone using content marketing!!!). What you can do to increase traffic, real traffic. I’m going to share things you’ve never heard before. Things that will probably get me permanently banned from LinkedIn — by the way. Also, we’re going to talk about hot dogs. Creating a consistent stream of engaging and varied content that is easy to find wherever customers are looking is hard! But you don’t have to (and shouldn’t) do it alone. Co-creating content with your community enables quality content at scale that can be optimized for search, socialized for networks, publicized to the media and influencer activated. This is incredibly important as demand for content rises right along with information overload and expectations of content quality. Co-creating content with the very audience you want to market to creates an “everybody wins” scenario. And who doesn’t like that kind of ROI? 2. Why is social media critical to content marketing? Social media is where your content marketing connects with your audience, including prospects, customers, influencers, and others. Through these relationships you as a marketer can acquire a deeper understanding of your target market and engage with them directly. Social media distribution of content provides an endorsement based on the person sharing your information. Social media is increasingly how people discover great content. Social media is a distributor of content. It’s as much a tool in your arsenal as web or email. At the most basic level, social media insights can inform content topics, formats and promotion channels. When content centric brands build active communities on social networks, they create an invaluable channel of distribution for content promotion, engagement and influencer activation. Content isn’t great until people find and consume it. Social networks can provide excellent content amplification so that great content gets the exposure it deserves. 3. How do you define social content? Social content involves the community—customers, influencers, social media followers and the public—in your content marketing creation process in one of 4 ways. Content is useful or entertaining information, and social is how people discover it. Short, sweet, succulent — and capable of packing a punch at 140 characters. Social content is content intended for publishing, promotion and engagement on social networks. Social Content is created with empathy for the user experience on social networks versus content published on the web at large. Want to read more great insights from these content marketers? Check out 13 tactics to improve your content marketing. You need a strategy for using social media and content marketing so that they work together and your results are greater than they’d be if you only used social media or content marketing alone. Please join us at Content Marketing World on Wednesday, September 9, 2015. We will help you rock your content marketing for 2016 and beyond. If you don’t have a ticket yet, what are you waiting for? Just register NOW! We look forward to meeting you IRL. Want to check out the newsletter before you subscribe. Well, you can – Just visit the Actionable Marketing Guide newsletter archive. Subscribe to receive notice of each new actionable marketing post delivered free, directly to your inbox. Actionable Marketing Guide publishes new posts from 2 to 5 times each week. 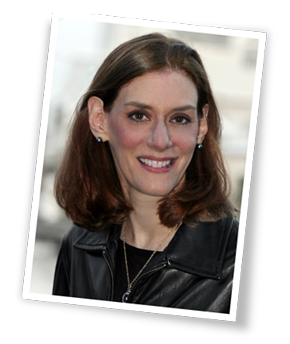 You will receive a summary of each new post from “Heidi Cohen”. The email’s subject line will begin “Actionable Marketing Guide” followed by the title of the new post. Tags Bob Gilbreadth, Content marketing world, Erin Monday, Interview, Lee Odden. Bookmark the permalink. I know social media and content marketing is the best process to build a website.I have known many terms from here.Really helpful content. Blogulr.com is at the top of my top-ten tools an entrepreneur must have. Its a content marketing + social networking application for entrepreneurs and professionals built to optimize its users activities on all social networking, blog and other websites. Users can blog, contact other users, setup adverts among other features. All for free. Thanks for sharing those interesting insights, Heidi! I agree, content marketing and social media go hand in hand. Content creates the the connection between your brand and your target audience. On the other hand, social media nurtures the connection and helps make your brand a familiar face that builds trust between you and your audience.